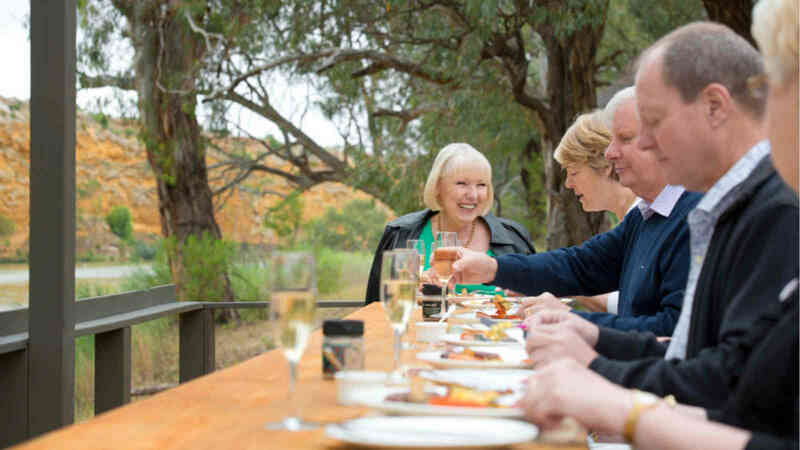 For that special experience PS Murray Princess passengers can enjoy bush tucker, combined with a traditional breakfast on the shores of the Murray River wetlands at Big Bend. Your hosts will collect you from Murray Princess when you're on the 4 Night Outback Heritage, 7 Night Murraylands & Wildlife and 7 Night Upper Murraylands Cruises, and transport you to the bush kitchen for a 3 course breakfast. 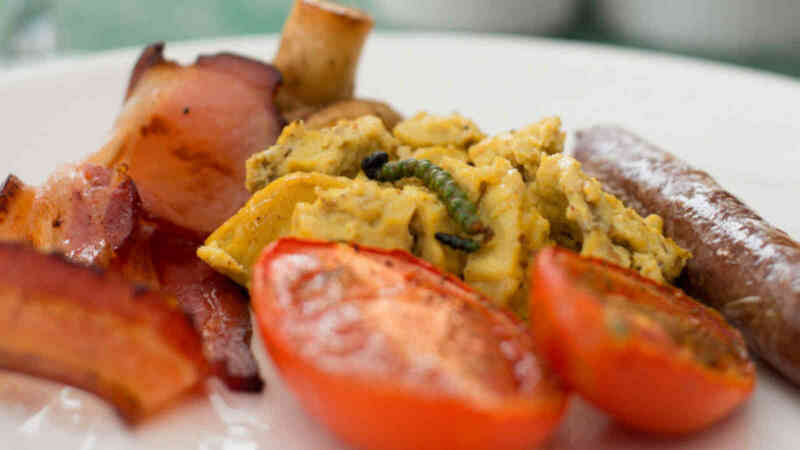 Savour the taste of kangaroo sausages, scrambled eggs flavoured with bush tomato spice and saltbush, oven baked tomato lightly dressed with mountain pepper and freshly picked samphire and mushrooms garnished with desert flakes. Double smoked bacon, kutjera relish and salt with attitude followed by wattleseed toast with wild lime marmalade, lemon myrtle butter and quandong jam. All finished off with wattleseed pancakes and real billy tea. The early morning sounds of the river and its birdlife create a peaceful ambience for the start of your day, topped off with a welcome glass of bubbles. Departs: 8am on Thursday mornings. Price: $35 per person. Bookable on board through your Cruise Director.